The following video is pretty inspiring. 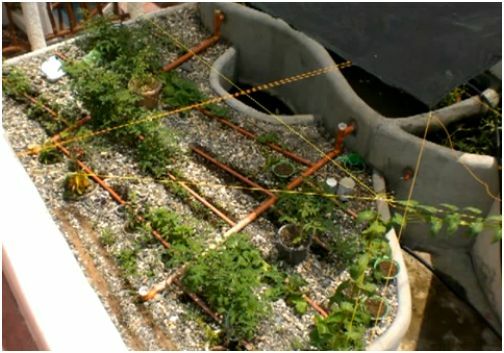 It is large home-scale aquaponics system that was installed at a house in the Philippines posted on greencorerevolution. Heads up, the score/music in the video kind of lags, feel free to turn down the volume. 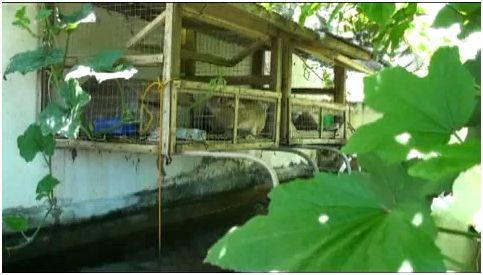 You can see how they incorporate fish, vegetation, ducks and even rabbits into their system. The system holds 5,000 ltr water and 8,000 ltr gravel, it uses a 1/2 horse power motor ( $ 15 ) on timer ( $10 ) set to every 15 min cycles, air pump $50. My wife and I are moving to Panama soon and wish to start a hydroponic farm. I have been growing vegetables hydroponically for almost ten years. I have been learning more about aquaponics and would like to incorporate it also into our plan. We have some many ?’s and thought your system looked very successful. I would appreciate any input on gardening in a tropical environment. Thank you and I hope to hear back from you. Hi David,Sounds like you may be oefveerding your fish. Cut the feed back. Most folk oefveerd their fish which results in bad water conditions.